Malawian golfers fail miserably in the country’s maiden golf competition; Professional Golfers Association (PGA) Warm Heart Tour, which took place in Lilongwe from 21st to 25th this month. Malawi’s best golfer, Paul Chidale led fellow Malawians by finishing 16th with a 299 score followed by Adam Sailesi who finished 18th and Victor Kachepatsonga who was last year crowned champion of a three-day TNM Malawi Open Championship at Lilongwe Golf Club finished 19th. The tourney which started last week Thursday in Lilongwe saw Zimbabwean Tranes Muradzikwa emerge victorious and went home with $7,500, which is about 6 million when converted to Malawi Kwacha, together with a trophy. Muradzikwa managed to beat 60 professional golfers, although he arrived few hours before the tournament and did not train on the golf course. According to a local newspaper Muradzikwa cited hard work for his success in the tournament and admitted to have played on one of the best courses in Africa. “I believe that hard work is the only way to success. I played on one of the best golf courses in Africa and enjoyed the experience,” he said. The Zimbabwean was seconded by Dismasi Indiza from Kenya, followed by Zambian Sydney Wemba, and then on fourth position came another Kenyan Greg Snow. 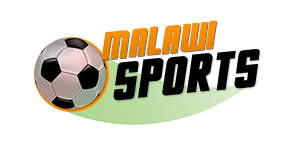 The debut tournament was supported financially by TNM, FDH Bank, Airtel, Umodzi Park and Toyota Malawi. Apart from Malawi the 60-golfer tournament was attended by golfers from Kenya, Zimbabwe, South Africa, Namibia, eSwatini, Botswana and Zambia.